Rodney and Ida Jones of Rush Valley are pleased to announce the marriage of their daughter, Chantel Lawrence, to Joseph Stoddard of Huntington. Joseph is the son of Willie and Patsy Stoddard of Huntington. The couple will be married at Aspen Landing in Taylorsville on April 6 at 11 a.m. A reception for family and friends will be held for the happy couple at the Aspen Landing Reception Center, 6388 S. Redwood Road in Taylorsville from noon to 2 p.m. following the wedding ceremony. Chantel is employed by Select Health Insurance and Joe is employed by Stoddard Sprinkler and Landscaping. 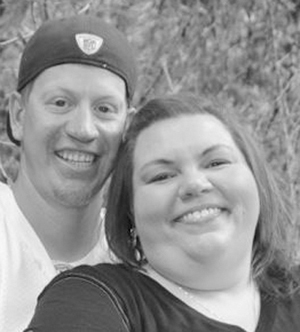 Chan and Joe will make their home in Tooele. Joe is the grandson of Leonilla Terry of Tooele and the late Farrell Terry and the late Dean and Olea Stoddard. Chantel is the granddaughter of the late Slim and Hazel Davis and the late Herman and Merdies Jones.